This entry was posted in Area12 News on March 14, 2019 by EJ. Please find below the Schedule and Area entry form for the Area 12 Combined Training competition. Area 12 FOTH Combined Training on 10th March 2019 at Pontispool. This entry was posted in Area12 News on February 14, 2019 by Witheridge Riding Club. As a committee we have made the decision to postponed Sunday’s FOTH Eventers Challenge at Pontispool due to current circumstances. The event will now take place on Sat 23rd March @ Yeovil Showground, Somerset, BA22 9TA. This competition will be on grass inline with the National Championship. This entry was posted in Area12 News on February 14, 2019 by EJ. BRC are proud to present the BRC Five Star Train Together Tour. 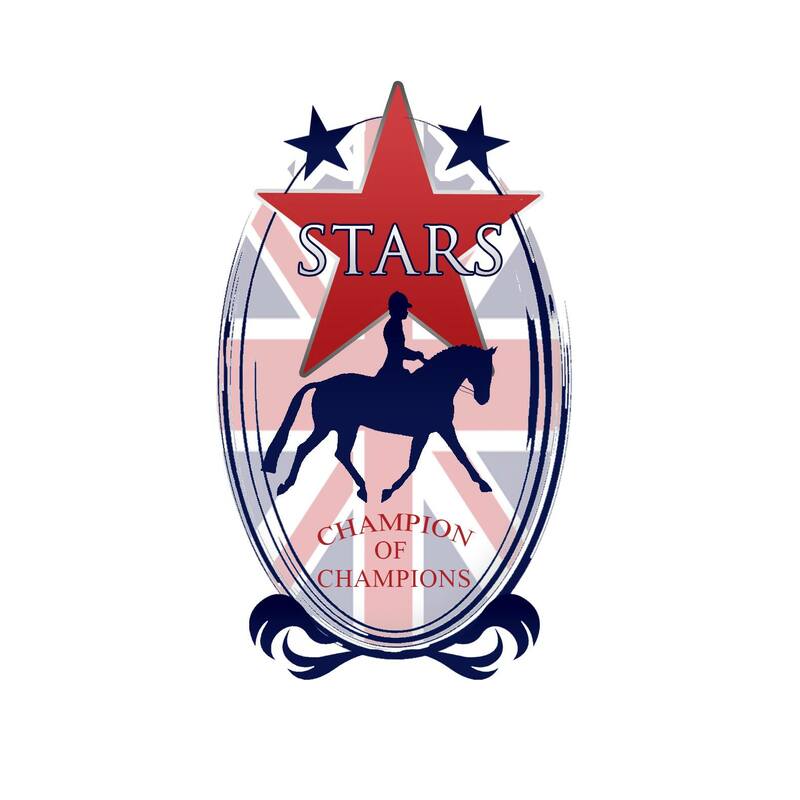 This is a fabulous opportunity for BRC grassroots riders who have aims at competing at our championships. 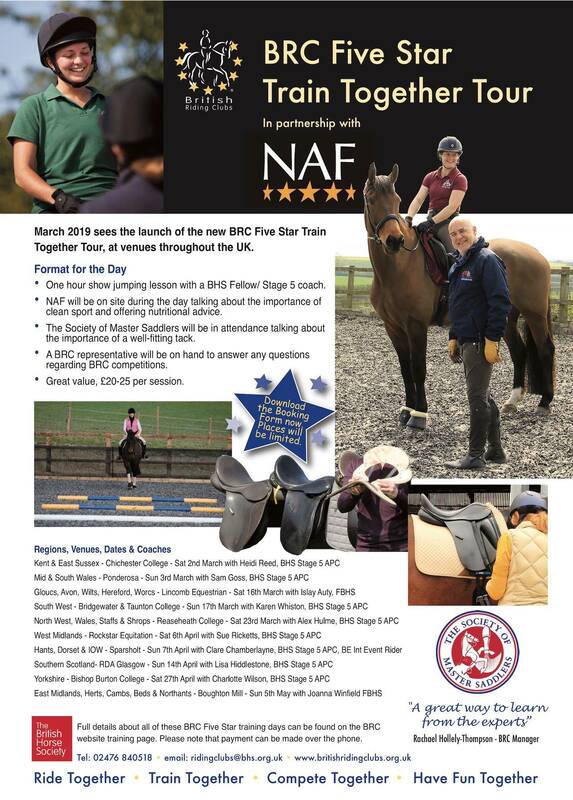 With talks from NAF and The Society of Master Saddlers, as well a Show Jumping lesson from world class BHS coaches this is a great way to learn from the experts. See the link below for full details, and to download the booking form. This entry was posted in Area12 News on February 1, 2019 by EJ. This entry was posted in Area12 News on November 26, 2018 by EJ. I would appreciate volunteers from clubs for pole picking. We need 4 per hour per arena over the day, so Saturday 10.30 – 15.30 1 arena and on Saturday 8.30 – 15.30 with 2 arenas. If people can contact me 07798844087 to organise a slot. Perhaps groups of club members could do it together. 2 hour slots would be lovely or less if necessary. This entry was posted in Area12 News on November 22, 2018 by EJ. This entry was posted in Area12 News on November 19, 2018 by EJ. This entry was posted in Area12 News on November 11, 2018 by EJ.